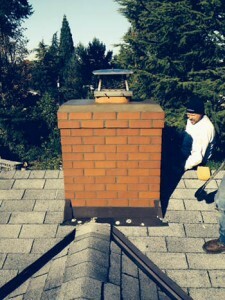 With over 30 years experience in masonry specialty, Emerald City Chimney have the best masonry technicians out there. Our brick chimneys have been described as “beautiful craftsmanship” and are soundly built from ground to crown. If it is made of brick, we can fix, rebuild or tuckpoint it at competitive rates. To contact us for scheduling, please visit the Estimates page and fill out the form to have a qualified technician come out and provide you with a free estimate on masonry services. You may also visit the References page to contact references for our senior technicians. Thank you!